Lloyd Yates, singer and guitarist, is joined by Mehdi Padidar (guitar and harmony vocals), Paulo Olivier (percussion) and Alex Moody (drums). Their regular bassist Scott is away for this show. Lloyd Yates writes wonderful songs of love and life full of gentle power and subtle, worldly imagery, and performs them with great feeling. He is well respected as a musician dedicated to family, friends and living life with a positive attitude. Working with this band brings exotic colour and intricate rhythm to his sound. The Experience are Lee Allison (guitar), Aaron Brown (bass), and Mike Neagle (drums). The psychedelic blues of Jimi Hendrix, early Pink Floyd and Led Zeppelin are among the touchstones for this trio of Jersey musicians. Their instrumentals are ecstatic epics of distorted, transcendent rock ‘n’ roll. 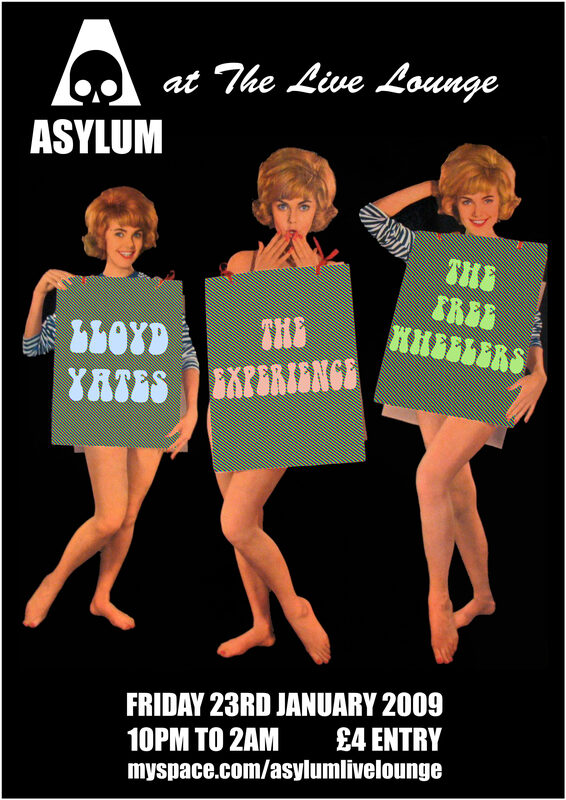 They distill the best parts of ’60s freak style and project them through a prism of modern trance grooves. The Freewheelers are Jerseybob, Chris Herbert and Andy Coleman. They decided to do something together after having an inspirational conversation at last year’s Jersey Live festival. Jerseybob surely needs no introduction, being one of the finest, most prolific songwriters the island has ever seen. Chris Herbert, bassist, is a familiar figure to music fans of Jersey, having played with Bothered Face and Esther Parkes. Andy Coleman represents the New Zealand axis, and his music is influenced by Nick Drake and Cat Stevens. Together as The Freewheelers they deliver an ambitious, artful realisation of the works of Bob Dylan, as well as their own compositions.